"I work for a Sub-sea Survey Company, recently this beast came up attached to one of our ROVs. It measures a wee bit over 2.5 feet head to tail, and we expect it latched onto the ROV at roughly 8500ft depth. Unfortunately, the e-mail that these pictures were attached to came from a contractor, and the ship he was operating from (and therefore location) is unknown, so I can’t tell you what part of the Earth this beast was living." 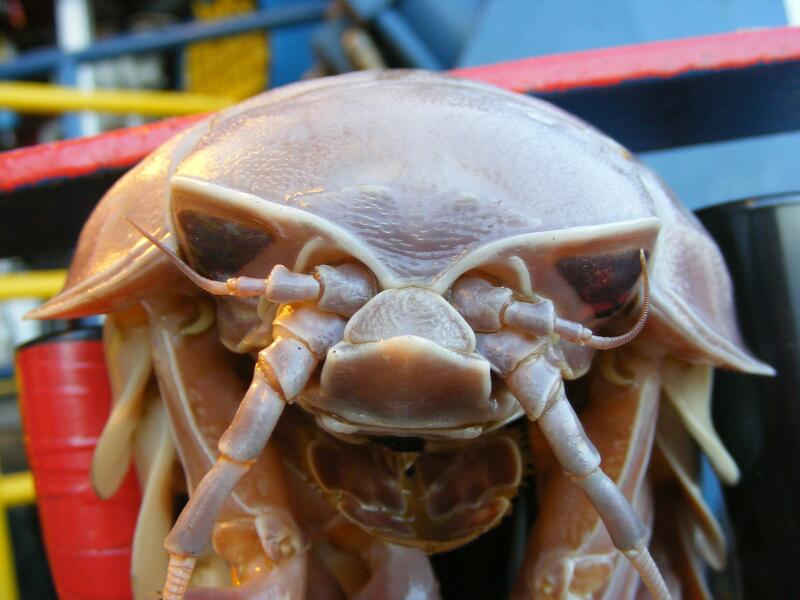 Although generally scavengers, these isopods are mostly carnivorous and feed on dead whales, fish, and squid; they may also be active predators of slow-moving prey such as sea cucumbers, sponges, radiolarians, nematodes, and other zoobenthos, and perhaps even live fish. They are known to attack trawl catches. 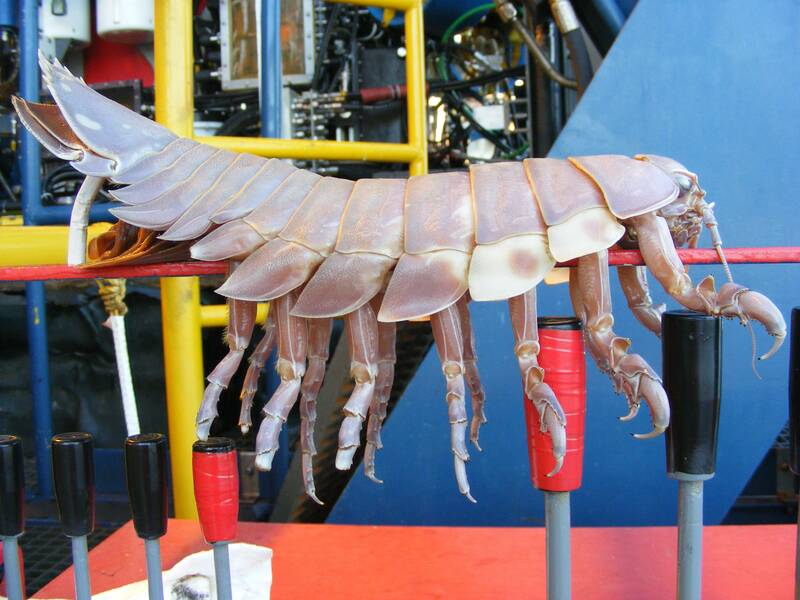 As food is scarce in the deep ocean biome, giant isopods must make do with what fortune brings; they are adapted to long periods of famine and have been known to survive over eight weeks without food in the aquariums of irresponsible owners. When a significant source of food is encountered, giant isopods gorge themselves to the point of compromising their locomotive ability. One study examining the contents of 1651 giganteus’ intestines found that fish were most common there, followed by cephalopods and decapods, particularly carideans and galatheids.